Diabetes is a progressive disease, requiring a proactive, patient-focused care approach to prevent health complications that negatively impact patients and healthcare systems. The Virtual Diabetes Center (VDC), developed by the Diabetes Task Force Solutions team, addresses gaps in the current delivery of chronic-diseases care. This includes an imbalance between the number of patients with diabetes and the number of healthcare providers in addition to a necessary enhancement of the overall efficiency of diabetes-care workflow and health outcomes. VDC facilitates the collaboration between healthcare providers and Integrates patients’ self-management and lifestyle data with current health conditions and historical medical records. It organizes and provides such information in easy-to-review visuals, giving healthcare team members a comprehensive understanding of the relation between patients’ lifestyle, their diabetes management, and the current prescribed treatment, all which is essential for successful management of chronic diseases and improved health outcomes. VDC consists of four separate Cloud-based applications. Each functions as an independent application or is integrated to provide a complete diabetes-care solution based on your requirements. These include Diabetes Case Management, Patients Health Management, Patient Diabetes Self-Education and Continuing Medical Education. The majority of prescribed treatment for blood sugar control is based on one lab result called A1c. If it is higher than the recommended guidelines, the solution is more medication or insulin. This could have serious negative side effects that impact a patient’s quality of life if the medication is wrong or administered incorrectly. The proactive approach starts with knowledgeable and motivated patients who are active partners in managing their diabetes, rather than being passive recipients of care. Diabetes self-management data: diet, physical activity, sleep, stress, allergies, social activities and environmental factors are essential to understanding what affects a patient’s blood sugar control. Such data are also indicators of preventive actions. Continuous monitoring, as well as access to care by multidisciplinary healthcare providers, are also key to early intervention. Optimal consultative care for the fast-growing diabetic population that cannot otherwise be met with limited endocrine and cardiac consultative services, especially in remote areas. Empowering patients though extended education, supervised monitoring by diabetes nurses, access to educators and access to a multidisciplinary, integrated healthcare team. Efficient collaborative care and patient engagement. This is based on the model of placing diabetes nurse specialists in Integrated Family Practice settings where they serve as the point of contact for patients with diabetes as well as those needing cardiovascular care and education. The Virtual Diabetes Centre will be used for virtual consultation with endocrinologists and cardiologists and other members of a multidisciplinary healthcare team. Consultative recommendations are presented to family physicians on the same Web program. Patients are taught to input updated home blood glucose monitoring data, home blood pressure recordings and nutritional and activity status, which ensures improved self-management functions. Continued care includes recent and follow-up laboratory test monitoring. The following are models that could be implemented at hospitals, community health clinics, pharmacies and mobile clinics. VDC’s Diabetes Case Management (DCM) is an electronic diabetes visit record based on diabetes care practice guidelines. User-friendly forms capture detailed, patient-specific clinical information acquired by health care staff that is produced in a format easily reviewed by clinicians. This information includes: patient demographics, diabetes history, medical history, family medical history, medication, monitoring and hypoglycemia, diet and physical activity, cardiovascular and other complications, life style, physical exam, lab results and eye exams. DCM gathers complete current medical flow sheet data and historical medical data while facilitating the sharing of recommendations between care team members. Members can use the program to automatically produce comprehensive recommendation letters and letters to patients, while storing existing forms that can easily be viewed by the entire team. This sharing of information improves efficiency, prevents duplication of work and provides a more comprehensive view of a patient's condition. The analytics section of DCM includes a series of standardized reports and customizable queries for outcome analysis. From the database, the healthcare team quickly and easily generates statistics regarding patients’ clinic, medications and laboratory results. These statistics and reports can be converted to PDFs and exported into Excel for integration into medical papers or for other uses. The program can also be used to develop a recall list. Patients who have high indicators can receive automated notifications to see their healthcare team. DCM facilitates the coordination among the integrated medical care team and patient self-management to provide better patient care and improve workflow and productivity of the healthcare system. DCM can also be used as a diabetes registry and could be customized for pharmaceutical and medical research. Using VCD Diabetes Case Management data visualization allows medical professionals to access and review information on a patient’s current medical status, historical medical data as well as patients’ self-management data. Data visualization maximizes time utilization during clinic visits and ultimately allows for more precise diagnoses and successful treatment outcomes. Patient results that are outside recommended values clinical guidelines are highlighted for instant recognition. VCD Diabetes Case Management data visualization allows the current medical status, historical medical data and patient self-management data to be reviewed. The physician can maximize the use of patients visit and more accurately diagnose and treat a case. VDC Diabetes Case Management generates a comprehensive medical report that can be sent to a diabetes specialist, if required. Diabetes specialists can remotely access VDC Diabetes Case Management to provide additional recommendations or request to see the patient, if required. VDC Diabetes Case Management gives a healthcare team collaboration capabilities, allowing other members to review each other’s recommendations and prescribed treatments. Secure authentication with access privileges assigned to different roles. Intuitive user Interfaces that are tailored to the role of the user, providing specific functionality and data. Single/multiple clinic configuration. Customizable to specific clinic use and chronic diseases. Detailed reporting and dynamic query tools. Generate eForms and email messaging. DICOM Image viewer. Intranet/Internet application. Data are stored on a local server for greater security. Generates an anonymous code for patients’ names for research and clinical trial purposes. DCM was developed by diabetes specialists and patients with input from family physicians, diabetes nurses, nutritionists and other specialists to help overcome gaps in chronic disease care, while reducing the healthcare costs and improving care and outcomes for patients. Diabetes Self-Management is the cornerstone of care for individuals with diabetes who want to achieve successful health-related outcomes. It requires continuous monitoring of multiple health indicators and lifestyle parameters such as blood sugar levels, blood pressure, physical activity and diet by patients with the supervision of diabetes healthcare providers. The rapid advancement in wearables such as smart-watches and Bluetooth-enabled devices helps patients collect valuable data that can assist them in managing their diabetes. Unfortunately, a very small percentage of patients utilize these tools for their health benefits due to various factors. The Virtual Diabetes Center's Patient Health Record Management (MyVDC) is a user-friendly, on-line health data recording and data visualization tool. MyVDC organizes and tracks a patient’s home test results and presents the data using easy-to-understand visuals. Educational materials empower the patient to understand how their lifestyle and treatment impacts their diabetes. The program provides a secured instant chat room for communication with healthcare providers as well as a message board for exchanging knowledge and facilitating discussion among patients. Through a secured link to the Virtual Diabetes Center’s Diabetes Case Management program, healthcare teams have access to patient data for review during clinic visits, continuous monitoring and virtual support. As well, MyVDC has a notification system alerting the healthcare team if there are any major changes in a patient’s blood sugar levels between clinic visits. 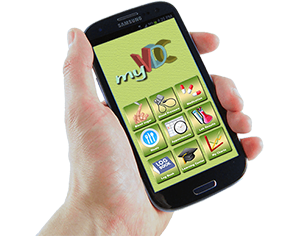 MyVDC forms are easy to use and are accessible via personal computers, tablets and smart phones. Although medical therapy is important, long-term diabetes control also depends on the choices patients make about diet, physical activity and other health-related behavior. These choices are based on patients’ knowledge about their disease, their ability to monitor it and their motivation to self-management behavior. This emphasizes the importance of diabetes education. The primary sources of diabetes education are family physicians and diabetes education centers. Most family physicians don’t have sufficient time to educate their patients and diabetes education centers provide one to three day courses. In Canada for example, only 30% of patients attend these courses. The delay in receiving education can have a serious impact on the long-term health of people with diabetes. In addition, the current diabetes education system has not embraced Internet technologies or new education delivery tools that could increase the efficiency of the diabetes educational program. Rather, current systems have tended to focus on the disease rather than its management. Cloud-based interactive multimedia technology can be used to augment up-to-date diabetes education methods. 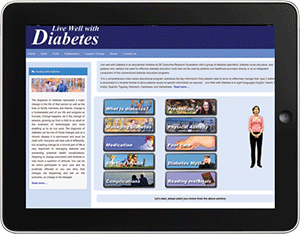 A number of research studies have demonstrated the effectiveness of interactive multimedia diabetes education tools following initial diagnosis as well as continuous education for patients and their families. Following the diagnoses by family physician (or community screening programs), patients are advised to start learning about diabetes through the Virtual Diabetes Learning Center prior to attending educational classes at the Diabetes Education Centres (in Canada, this might be different in other countries). Instant and sustained education empower patients to be an active participant in managing diabetes. The Virtual Diabetes Center's Patient Education Portal provides unique functions such as video-content search and knowledge testing. The portal is a customizable Cloud-based application that could be installed on a local server as an Intranet application or hosted on an external server as an Internet application. The user interface can be configured to reflect your organization’s brand and to emphasize your education and communication priorities. We also provide services to install the application on our server and assist in developing course content and system management. Diabetes treatment, medications and guidelines are constantly changing. Our customizable system provides your organization with a tool that keeps your team up to date on the latest changes in the diabetes treatment field. 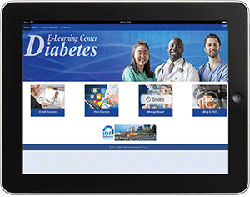 The Virtual Diabetes Center's learning, content and events management system (LCEMS) provides a multi-user environment where developers, authors, instructional designers and subject-matter experts may create, store, reuse, manage and deliver digital educational technology content. It also provides the administration, documentation, tracking, reporting and delivery of electronic educational technology (e-learning) courses or training programs. 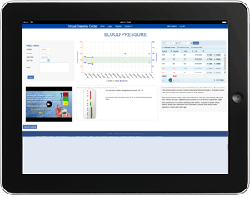 The Virtual Diabetes Center's LCEMS provides secured instant chat room and message board for exchanging knowledge and discussions among registered users. It also has a blog and news feeder managed by the LCEMS administrator to provide registered users with the latest news in the field of diabetes management and research. Learning Management System - for administration, documentation, tracking learning progress and reporting of training programs, as well as training content. Reports exported to Excel files. Authoring tools – user-friendly interface for adding courses, quizzes and events (workshops). Certification – issuing certificates upon the completion of courses and quizzes. Notification – email notification to training administrator of users' registrations and completion of courses. Digital Content Asset Management – video, slide presentation and Flash file format. 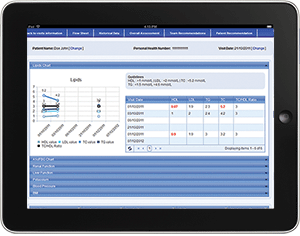 The Virtual Diabetes Center's LCEMS is a customizable, Cloud-based application that can be installed on your local server as an Intranet application or hosted on an external server as an Internet application. The user interface can to be configured to reflect your organization’s brand and emphasize your training and communications priorities. We also provide services to install the application on our server and assist in developing course contents and system management. Cost effective solution - significant savings over instructor-led, face-to-face training at different locations by reducing costs such as travel, meals and lodging. This method also reduces costs related to training administrative and management support by automatically measuring and recording various data relevant to the progress of trainees. Click here to compare the costs of traditional classroom training to interactive training to compare the costs of traditional classroom training to interactive training. Higher learning absorption rate - the training modules use interactive feedback, resulting in improved comprehension and retention of knowledge. Broader range of information is provided in an easy-to-learn, animated format. Availability of training seven days per week, 24 hours per day at the user’s fingertips. Testing/Scoring - feedback is immediate with the training modules. Instant update and information delivery on new products. Self-paced training - users can move through the lessons at their own pace. Reviewing forgotten or unclear material is just a matter of clicking on the “topic” or “menu” button. Self-directed training - allowing trainees to choose content appropriate to their differing interests, needs and skill levels.